OLE INTERNATIONAL has a large listing of Homes for Sale in Spain, from Costa del Sol all the way up to Costa Brava, including of course a Property for Sale Costa Blanca which is where our main concentration of Homes in the Sun is located at, and in particular we can offer the clients the best Property for Sale in Torrevieja. Provide us your contact number and we will call you as soon as possible. Villamartin Estate Agents: Our main office is in Villamartin, we are in front of Villamartin 18 hole Golf Course. Estate Agents la Zenia: We have also an office in La Zenia Boulevard Shopping Center (Alcampo). Estate Agents Torrevieja: and we can also help you at our Torrevieja´s office. all detailed information on local house prices. 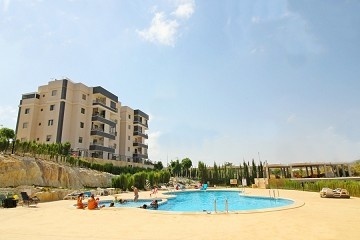 and any more information that you need about Costa Blanca houses for sale. We are experts on Costa Blanca homes, focusing on new brand homes for sale in the Costa Blanca, properties which are located on this part of Spain, and our major effort is to make the process of buying a property in Spain an experience as pleasant as possible to guarantee our customers a completely secure purchase. Our Real Estate Agent offer the buyers houses in Alicante, homes for sale Costa Blanca South and homes for sale Costa Blanca North, and we can also offer a property for sale in the Costa del Sol: properties in Marbella, Estepona, Torremolinos or Benalmadena. 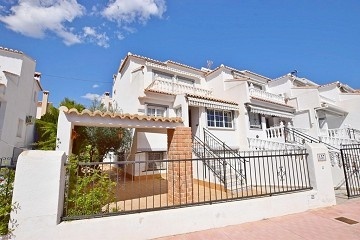 a property for sale in Orihuela Costa, La Zenia, Cabo Roig, or Campoamor. homes for sales in Punta Prima. 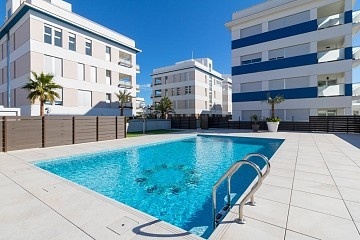 property for sale in Pilar de la Horadada. houses for sale in Ciudad Quesada. We have also a featured selection of property sales the Costa Blanca in exclusive locations, our estates agents in Orihuela Costa can show the buyers numerous locations of spanish property sales Costa Blanca: villas in Punta Prima, Playa Flamenca, La Zenia, Cabo Roig, Villamartin, Los Dolses, and also villas in Torrevieja. Our commercial agents will help you to choose the best possible options in order to match your expectations. This area has a full range of services in addition to being very close to the fabulous beaches of Orihuela Costa and Torrevieja. We are Villamartin Estate Agent, and this one of reasons we are specialistics in properties for sale Villamartin. Address: Avenida de las Brisas 11 Villamartin. Our team of real estate agents will guide you in the entire process of buying a property in Spain, since the first step with the contract and payment structure until the sign of sale in notary. They have worked in this sector for several years. The Costa Blanca is a very good location to buy a property sale in Spain, and La Zenia is a fantastic place to own a home in South Costa Blanca, a place where is easy all the year enjoying sunshine and the many beaches around this marvelous area in Orihuela Costa. If you are interesting in this home espana, or you wish to arrange a viewing, please contact us. Also you can subscribe to our newsletter to keep up to date with our property new listings and offers.